Police Scotland can confirm that a 46-year-old woman has been arrested and charged in connection with the attempted murder of two on duty police officers. The incident took place shortly after 4pm on Thursday, October 13, on Hopefield Drive, Blackburn, as two officers were responding to a report of concern for a person. The officer was struck by a black Mini Cooper, sustaining minor injuries, and was taken to St John’s Hospital as a precaution. The 46-year-old is expected to appear at Livingston Sheriff Court today (Friday, October 14) and officers are not looking for anyone else in connection with this. 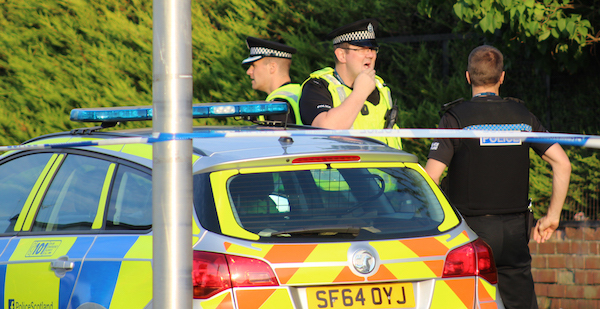 Chief Inspector Barry Blair, Area Commander for West Lothian, said: “This is an extremely serious incident and we are eager to establish full circumstances surrounding it. Those with information can contact Police Scotland on 101 or anonymously through the charity Crimestoppers on 0800 555 111.